Participate in our Co-op Board Elections! For a number of months, we have announced the upcoming elections to the Co-op board. Members will vote for directors to fill three board positions, and those elected will serve three-year terms: October 1, 2018 – September 30, 2021. As a startup co-op, ours is a “working board”, not simply a “governing board”. All board members serve as volunteers without compensation and they devote significant time and attention to this worthy effort. We are fortunate that three Co-op members have stepped forward and volunteered to serve on the Co-op board. The board candidates are: Rich Larochelle, Valerie Setzer (both incumbent directors who were among our five founding board members) and Kathy Carmine. We have provided photos and bios of these individuals below. Voting will take place both electronically and in person at our Annual Meeting on Sunday, September 30. 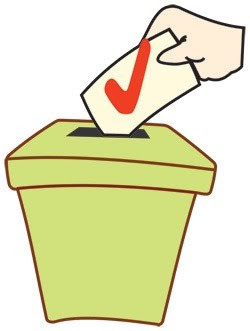 CO-OP MEMBERS: PLEASE LOOK FOR AN EMAIL DURING THE WEEK OF SEPTEMBER 17 THAT WILL PERMIT YOU TO VOTE ELECTRONICALLY. Our bylaws require that at least 10 percent of our members vote. So, even though there are only three candidates who stepped forward to run for three positions, we ask that you cast your ballots. Even if you vote electronically, we encourage you to attend your Co-op Annual Meeting, as we’ll share information on the Co-op, hear from a guest speaker, sample tasty treats, and have fun being together. The Annual Meeting is open to ALL and all are encouraged to attend – members and non-members alike. 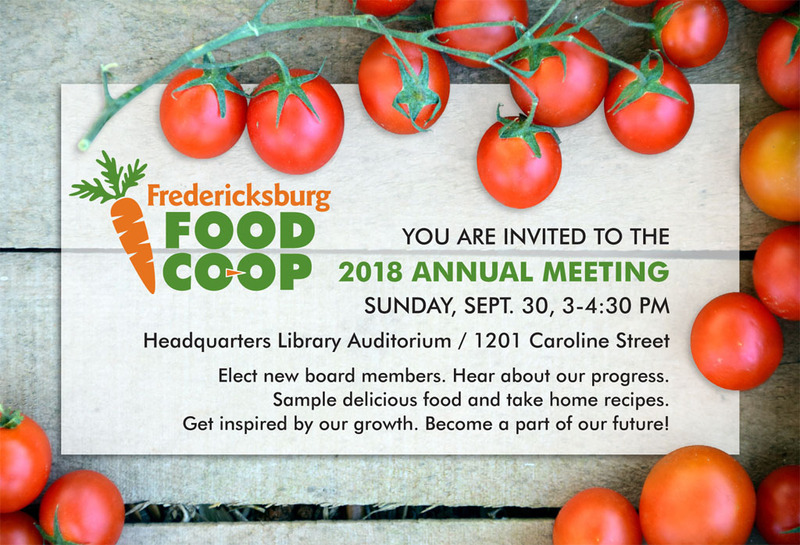 Candidates for Service on the Board of the Fredericksburg Food Co-op for a Three year term, October 1, 2018 – September 30, 2021. Kathy and her husband, Scott, are long-term residents of the Fredericksburg area. They have one daughter, Lexi, who is also active in the Fredericksburg Food Co-op. 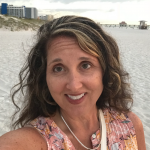 Kathy graduated in 1993 from Ohio University with a Bachelor’s Degree in Business Administration. Since that timeframe she has worked at GEICO Insurance. She has had many years of experience in planning, management and working with others to accomplish common goals. In her spare time, Kathy enjoys spending time with her family, working out at the gym and spending time outdoors. Healthy eating and fitness are a priority to Kathy and her family. She is very excited about using her experience in planning, management and working with others to help the Fredericksburg Food Co-op thrive. Everyone should have a Co-op in their area to enjoy local and organic foods and to meet so many members of the community!! Rich is a founding director of the Fredericksburg Food Co-op and is currently the co-op’s Board Chair. He is an Adjunct Instructor at the University of Mary Washington (UMW) where he co-teaches a course on Cooperative Business. Rich worked for cooperatives for 40 years prior to moving to Fredericksburg in 2014 with his wife, Linda, who is an accomplished artist and retired art teacher. Rich was Senior Vice President at the Cooperative Finance Corporation until retiring from there at the end of 2013, and Legislative Director at the National Rural Electric Cooperative Association, where he worked for 12 years. He continues to serve as the Board Chair of the Cooperative Development Foundation, a national c (3) organization that supports the creation of cooperatives as a way of positively impacting economic and social problems. 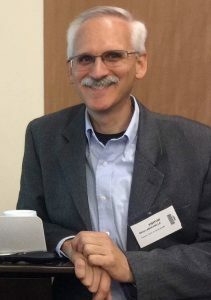 Rich was inducted into the Cooperative Hall of Fame in 2017. Rich is active in volunteer activities. Rich and Linda have two sons, including Jeremy who is a professor at UMW and David who lives in Philadelphia. They are the proud grandparents of a wonderful 6 year old. Valerie lives in the Fredericksburg area with her husband of 45 years. They have two adult children, a daughter-in law, two grandchildren, and two rescued pit bulls. 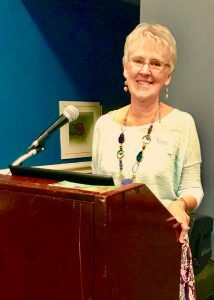 She follows a plant-based diet, is interested in health, environmental concerns and mitigation, sewing/knitting/crochet, walking/hiking, and prioritizes family time whenever possible. She retired on January 3, 2013 after a 34-1/2-year career with the Federal Aviation Administration (FAA) where she served as an air traffic controller, staff specialist, training manager, quality assurance manager, and terminal airspace manager with FAA HQTRS Terminal Operations in Washington, DC. She has a B.S. in Adult Extension Education from Virginia Polytechnic Institute and State University. Valerie is an active volunteer whose service includes: former member, vice president, and president of her church’s board of trustees (2013-16) a member of the Fredericksburg Spinners & Weavers Guild (2008-present); a facilitator for her church’s chalice small group ministry program; a member of the Fredericksburg Food Access Forum and Community Food Enterprise effort (2016-present); a coordinator for a monthly dinner for the Micah Respite House, a founding board member, vice chair, and chair of the board of directors of the Fredericksburg Food Co-op (2015-present).